If you want straight teeth but don't want metal braces in your mouth for years we have a solution - Invisalign Clear Aligners, which will straighten your teeth in half the time of traditional braces! Anyone who suffered through the pain and embarrassment of metal braces will wish they'd instead chosen the comfortable, removable, and invisible Invisalign® aligners instead. 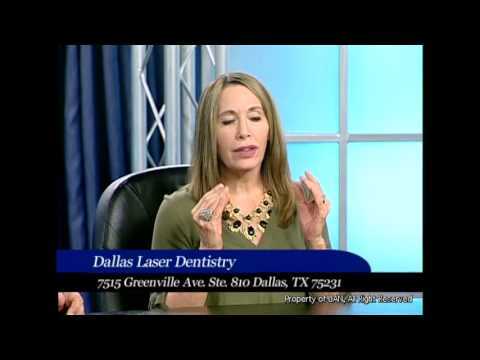 Dr. Mary Swift of Dallas Laser Dentistry is an Invisalign® Premiere Provider, a level that is normally reserved for orthodontists, and has done hundreds of Invisalign® cases from simple to complex. Dr. Swift also uses Invisalign® cosmetically to help patients achieve the beautiful, healthy smile they have always wanted with a series of removable aligners that safely and comfortably move the teeth into a better position. The aligners are worn about 22 hours each day, and are removed primarily to eat, brush, floss. Invisalign® is primarily used when your teeth are crowded, particularly lower front teeth. This crowding makes it very difficult to properly clean the teeth and remove the bacteria, which can lead to gingivitis and then to periodontitis - gum disease. Gum disease has been proven to significantly increase the risk of heart disease and stroke. By straightening those teeth you'll increase your chances of living longer, plus look great the rest of your life! "Thank you, thank you!! I have 8 crowns across the front of my smile and am so happy. Everything fits perfectly after Invisalign and I can finally smile with confidence. Now, when people ask where I had my dental work done, I am proud to say......I travel"
"Big D Review for Dr. Mary Swift: 5 stars ???? 2015-06-11 Had an exam/cleaning and decided to finally straighten my teeth with Invisalign. Best thing I could have done - my wife loves my new smile, as do..."
"In the few years that I've used Dallas Laser Dentistry, I've always had an excellent experience at Dr. Swift's office. I go there for all my cleanings, and recently started my Invisalign to treat my overbite. The staff is quite friendly, and Dr. Swift always makes me feel welcomed. I feel like I've known her for many years. I noticed some of the Dallas pro athletes use Dr. S for all their dental work, which assures me that I'm in good hands. The trickling waterfalls and beautiful high rise view makes for an amazingly pleasant experience while visiting. I feel like a brand new person every time I leave their office. Liz, a dental hygienist, did a wonderful job cleaning my teeth. She was very gentle and efficient. I will be recommending Dallas Laser Dentistry to all friends and family!" "Yesterday (11/5/15) was my first time visiting this dentist office because I needed to find a new dentist, and I have to say it was the best dentist office experience I've ever had. Everyone was so nice, answered all of my questions about veneers and Invisalign (and I had many), and really took the time to inform me about future options for cosmetic work. But, at the same time, I did not feel any pressure whatsoever to start down that road until I was ready. Dr. Swift was wonderful, and she even said several times "when you're ready". The entire experience put me at ease and made me feel like they really cared about the health of my teeth and well-being. As long as I live in Dallas, I'll be going to this dentist. Amazing place, and I've only been once. :)"
"Fabulous, professional Staff make me (almost) look forward to my dental appointments! Dr. Swift is transforming my smile in a way I never believed possible. Invisalign and laser whitening, along with regular hygiene visits at Dallas Laser Dentistry will keep my smile healthy and beautiful for years to come. Thank you!" Dr. Swift has treated patients ranging from teenagers to 85 years old with Invisalign®. It can be used to help patients with a variety of issues - widely spaced teeth, an overbite, an underbite, overly crowded teeth, or a cross bite. Patients must be willing to commit to wearing the aligners at all times unless they are eating, brushing their teeth, or flossing. Patients will also need to return to Dallas Laser Dentistry every 4-6 weeks during their Invisalign treatment so Dr. Swift can check their progress and make adjustments as needed. The first step after deciding to move ahead with Invisalign® is having a digital 3-D laser scan of your mouth using our Itero scanner so your custom aligners can be made. We'll also take some other photos and panoramic x-rays of your entire mouth. After starting treatment, you will need to wear your aligners as much as possible, removing them only to eat, brush, and floss. Each set of aligners will be worn for about one week - each set brings your teeth closer to their final position. Most patients go through 18 – 30 sets of aligners in about 4.5 – 8 months before their teeth are properly aligned, but the amount of aligners and total time will vary for each patient. After completion of treatment, you should expect to wear a retainer each night to prevent your teeth from drifting and undoing the treatment. 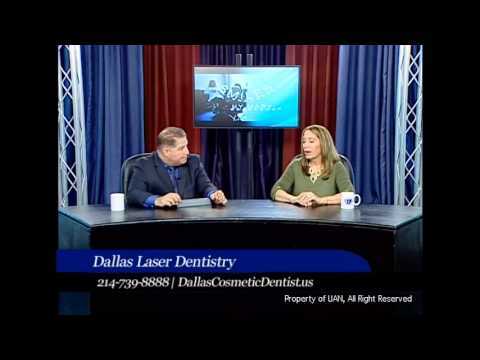 Many patients come into Dallas Laser Dentistry to get a complete Smile Makeover. For some patients Invisalign® is the first step in their total Smile Makeover treatment plan, as just like a house, a good foundation with the teeth in proper alignment will make any cosmetic work last much longer. However, for some patients Invisalign® braces by themselves along with some whitening may be all they need to get the smile they desire! While most people think that braces are only for children and teenagers, Invisalign® is perfect for adults who had braces as teenagers but never wore their retainer. It's also great for adults whose parents couldn't afford to give them braces but who now want to have their teeth straightened. Dr. Swift has treated teenagers and adults of just about every age - all the way up to 85 years old! When you return to Dallas Laser Dentistry to pick up your first set of aligners, Dr. Swift and her staff will go over how to care for your Invisalign® aligners. When not in use, the aligners should be placed in a container that will be provided. At least weekly they need to soak for a couple of hours in a cleaning solution. Dr. Swift and staff will also go over a few of their own cleaning tips that have helped many of their patients keep their aligners in their best condition. Once you’ve completed treatment and achieved your perfectly aligned smile, it’s important to maintain your results. Invisalign® offers Vivera® custom made retainers to wear each evening, the first one of which we provide at no charge. Using the same imaging technology, Vivera® retainers are 30% stronger than other clear retainers and are both durable and effective at keeping your teeth in place. Vivera® can also benefit patients who had traditional wire braces if they need a great retainer.